Gate Pathshala, Adambakkam Centre, Chennai. Gate Pathshala, Sholinganallur Centre, OMR, Chennai. Long term batches(Week-end & Regular),Short term batches(Week-end & Regular), Winter crash batches and are available. The student has to choose any one of the above batch depending upon his/her convenience. The further details of each of the above batches are as follows. ( For AE only). These batches commence from 10-Feb-2019 onwards, generally. Classes will be held on Saturday & Sundays and other public holidays for 4 to 5 hours (Sholingnallur centre, Batch-I: 9 am to 1 pm & am; Adambakkam centre, Batch-II: 2 pm to 6 pm ). The approximate total duration of the program is 7 to 9 months. 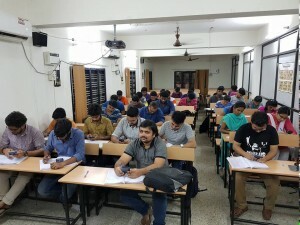 These batches are more convenient to the students who can attend in the week ends and for the students who work in MNCs or 3rd year final semester or final year students. 1. Gate Pathshala, Adambakkam, Chennai. ( For AE only). These batches commence from 10-Feb-2019 onwards, generally. Classes will be held on Saturday & Sundays and other public holidays for 4 to 5 hours. 2:30 pm to 6:30 pm . The approximate total duration of the program is 7 to 9 months. 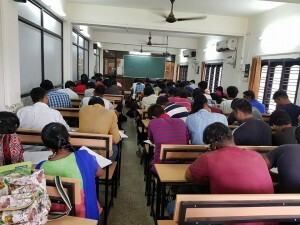 These batches are more convenient to the students who can attend in the week ends and for the students who work in MNCs or 3rd year final semester or final year students. 2. Gate Pathshala, Sholinganallur, OMR, Chennai. Timimgs: 9 am to 1 pm . The approximate total duration of the program is 7 to 9 months. Suitability:These batches are more convenient to the students who can attend in the week ends and for the students who work in MNCs or 3rd year final semester or final year students. ( For AE only).These batches commence from 4th July onwards, generally. Classes will be held on 4 days in a week ( Mon, Tue, Thu & Fri ) and other public holidays for 4 hours ( Batch Timings: 9 am to 1 pm ). The approximate total duration of the program is 6 to 7 months. These batches are more convenient to the students who have finished their BE/B-Tech degree in Aeronautical/ Mechanical Engg. Or persuing BE Aeronautical from Aeronautical Society of India. ( For AE only).These batches commence from 18 june onwards, generally. Classes will be held on Saturday & Sundays and other public holidays for 4 to 5 hours(Batch-1: 9 am to 1 pm & Batch-2: 2:30 pm to 6:30 pm ). The approximate total duration of the program is 5 to 6 months. 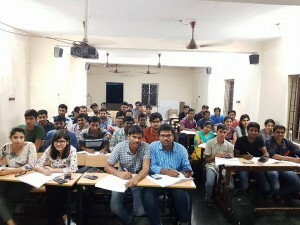 These batches are more convenient to the non local students who can attend in the week ends and for the students who work in MNCs or 3rd year final semester or final year students. The DD shall be drawn in favor of “GATE PATHSHALA EDUCATIONAL SERVICES LLP.”, payable at Chennai. A copy of 10th class certificate, two pass port size photos and a copy of college ID or any other ID proof are to be enclosed to the application. The fee can also be paid by cash at our main office at cash counter along with the application form and necessary enclosures. The application along with all the necessary enclosures and DD shall be sent to the following address. GATE PATHSHALA EDUCATIONAL SERVICES LLP.